We’ve made many changes to the underlying HTML code in Callisto 1902. The installed Callisto product is now significantly smaller and we have optimised the CSS load time to further enhance the initial page load and page execution time. Together with the on-demand enhancements we made in Callisto 1901 we are confident that everyone will see big improvements in usability and speed of Callisto in this release. 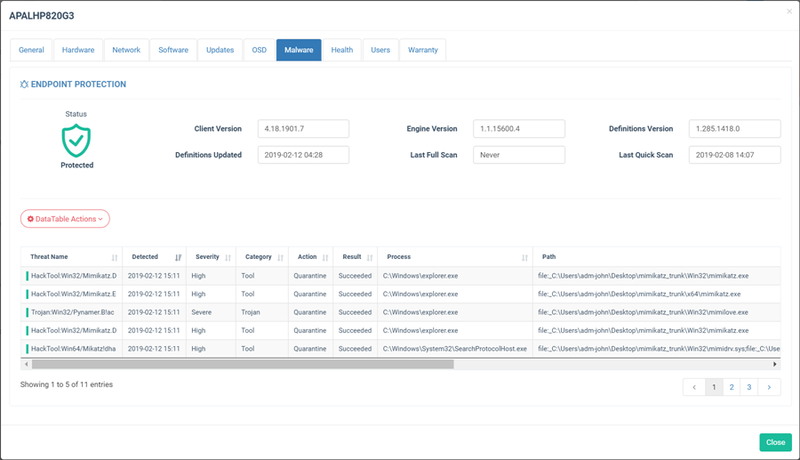 The big new addition in Callisto 1902 is the Endpoint Protection Dashboard. 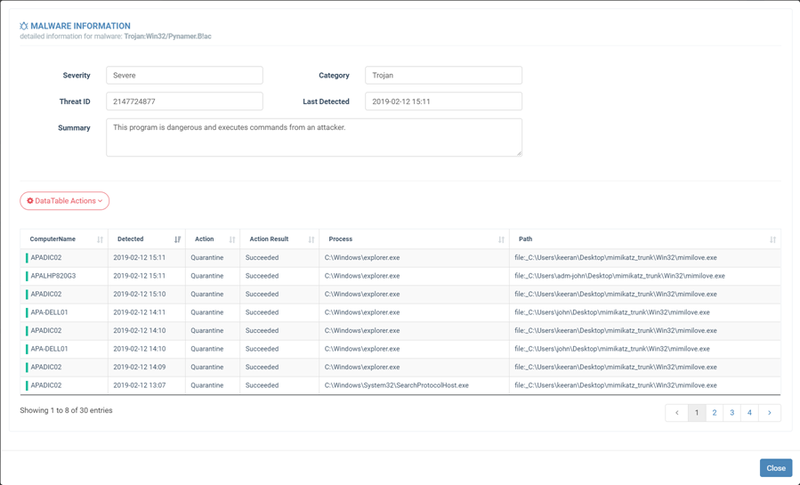 We have expended on the existing basic Endpoint Protection page bring in trend data and malware details. 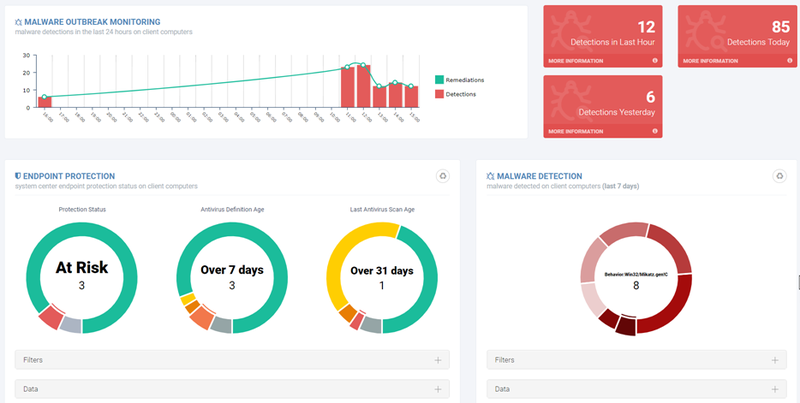 The top malware outbreak monitoring chart shows malware incidents and corresponding remediation activities. If the red and green values are equal, Defender is doing its job. In the 1902 release of Callisto, the malware outbreak chart is clickable, along with the donut charts. Clicking any bar in the chart will surface detail of that set of activities as show above. The device modal is extended with malware data too. 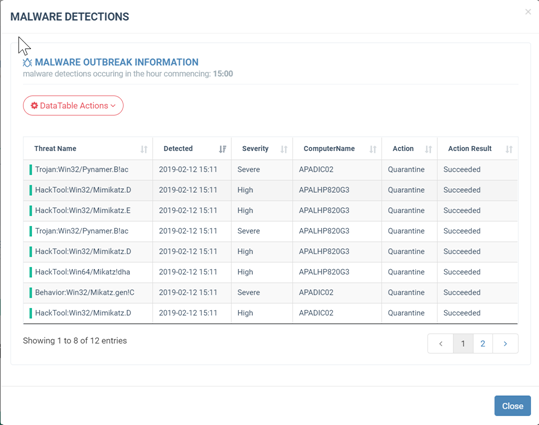 Clicking any computer record will now show malware activities and remediation actions for that machine.